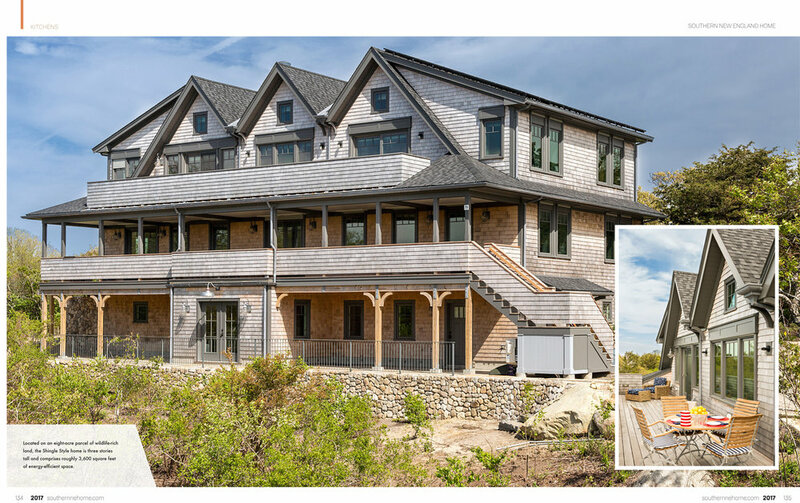 Thank you so much to Cape Cod Home for featuring our Chatham Stage Harbor House in their Spring 2018 issue. It was a wonderful project to work on with great clients in a beautiful location! In 2014 we started working with a fabulous client on their new family’s home in downtown Chatham. 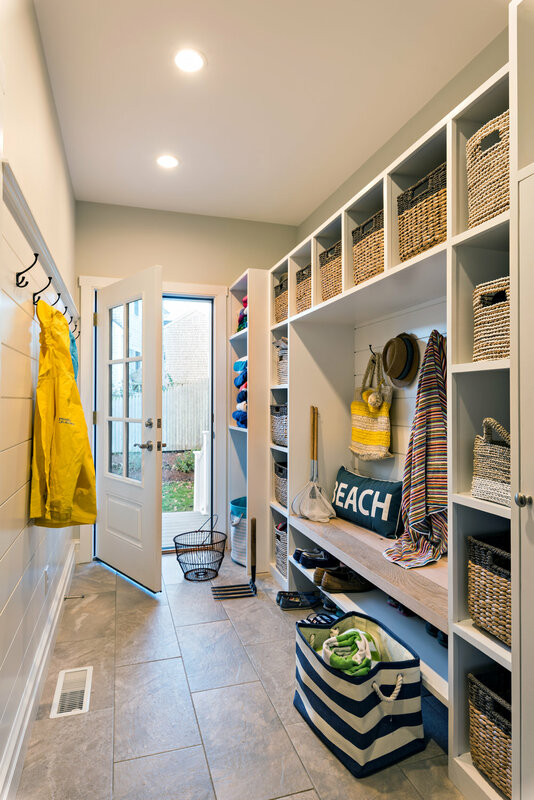 They bought a small cottage on a charming street right off of Main Street but knew they needed a larger home with a second story to accommodate their family, and extended family. The lot was small, but lovely with old trees and views to stage harbor. We collaborated with the owner’s daughter, an architect in New York city to create a multi-generational home that accommodates their 90 father on a first floor bedroom as well as college kids and extended family. The main living space is an open living, dining and kitchen with a pantry tucked off it. There’s a screened porch beyond that offers indoor /outdoor living in the summer months. We tried to use as many windows as possible to keep the space bright and airy. While the street façade has windows, we kept it a little more solid for privacy but the back is a wall of windows overlooking a bluestone patio. Thanks to Cape Cod Magazine for the feature and Dan Cutrona Photography for the amazing shots. Toby the wheaton terrier stole the show as usual! Our small cottage on Scargo Lake in Dennis Village was featured in this Sunday's Globe Magazine which focused on Summer Living. The clients’ story of downsizing from a much larger home in Provincetown to this 1100 SF tiny cottage is compelling. 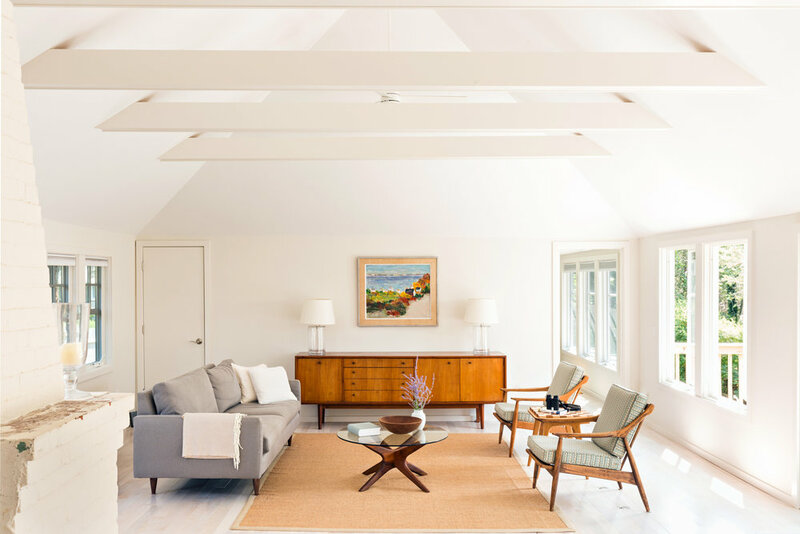 We love the contrast between the historic features of the 1930s bungalow/cottage and the ultra light mid-century modern finishes. This tiny house lives large!